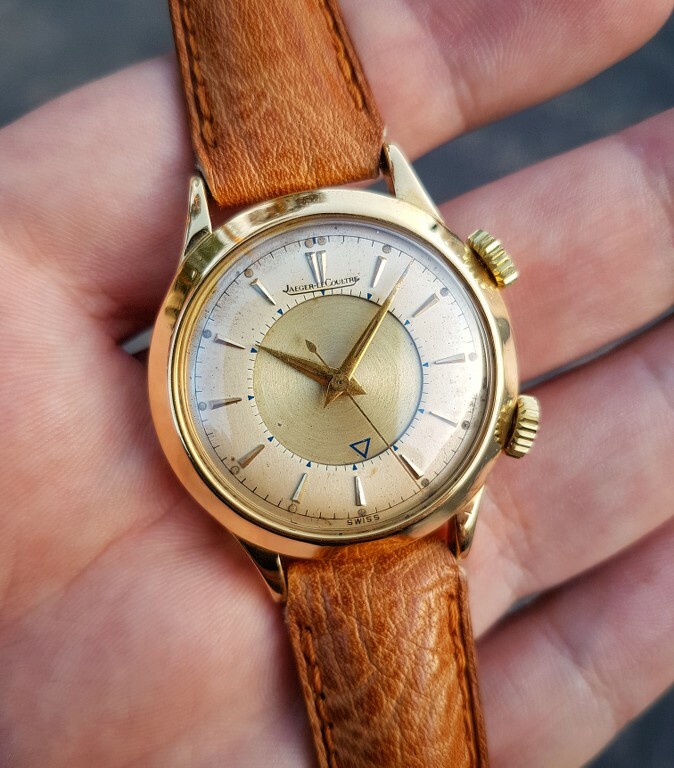 Up for Sale a wonderful Alarm Watch: the prestigious Jaeger LeCoultre Memovox. 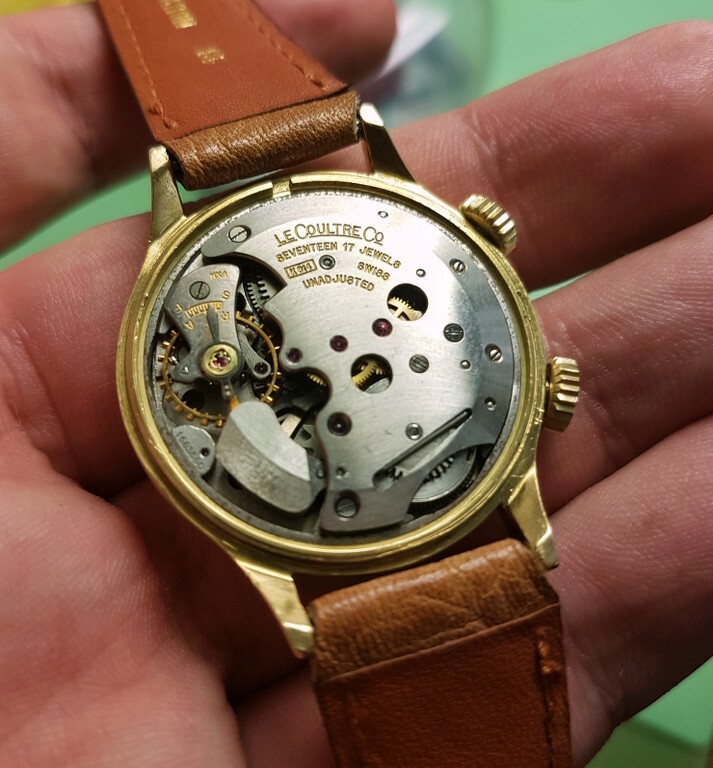 The caliber is the manual wind 814 caliber made by Jlc. 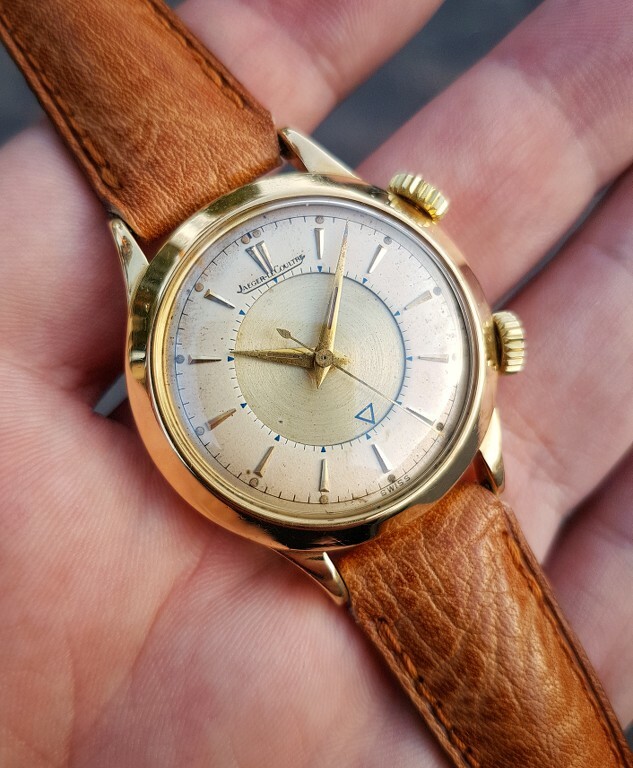 Original Dial in very good conditions. Radium hands match the radium dots on the dial. 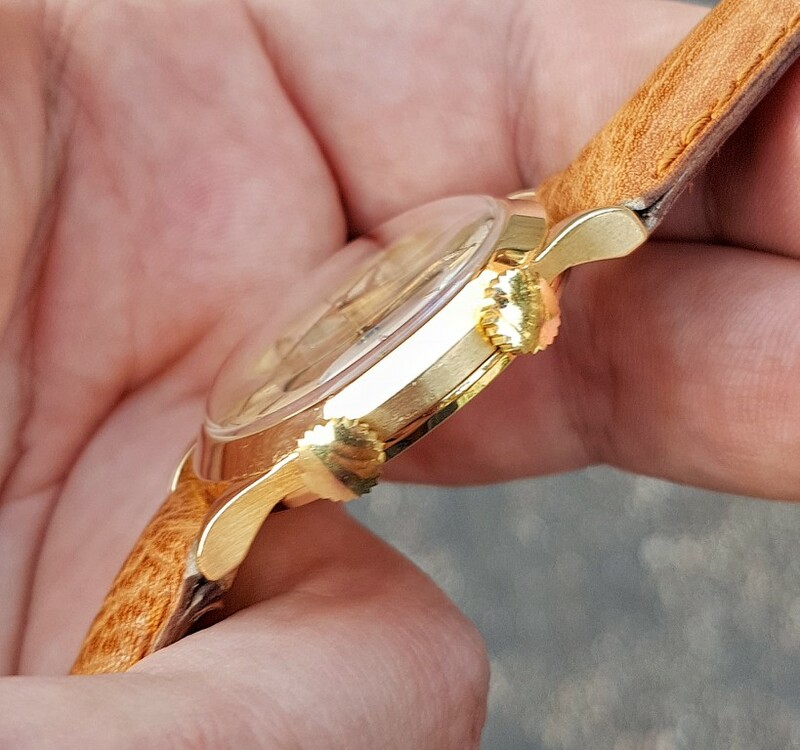 34mm, 18Kt full Gold Case with a screw ring that holds the caseback. 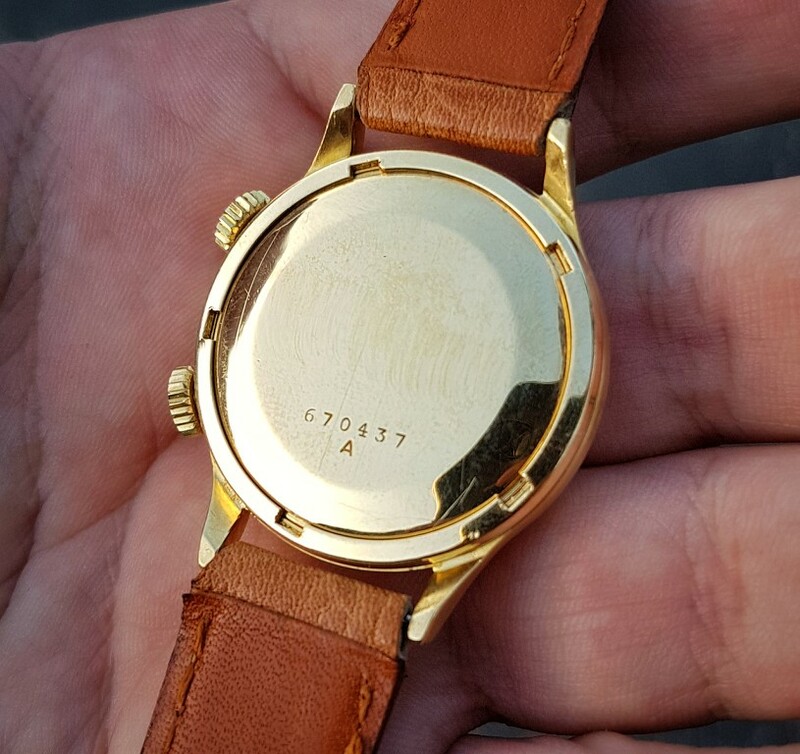 The case in very good condition with sharp lugs and and satin carrure. The watch is fully working. The Alarm sound is still strong. 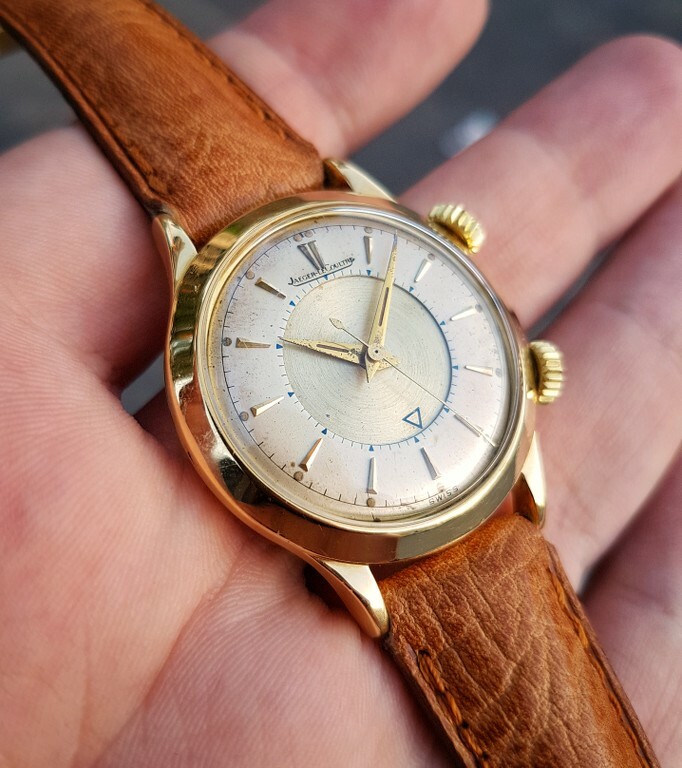 For this beautiful Memovox the price is 2400 euros OBO.